How does a Catholic read the Bible? I certainly can't speak for all Catholics, but I can speak a little to the Catholic tradition. And the best explicator of that tradition in recent decades was, in my opinion, my professor of New Testament in graduate studies, the late Daniel J. Harrington, S.J., who taught at Boston College for many years, wrote hundreds of articles on the Bible and was the editor of the scholarly journal New Testament Abstracts. He probably knew more about the New Testament than any other scholar in English-speaking world. Funny enough, he started one of his books with the story of some traveling evangelists coming to his home in Boston when Dan was about 10 years old. This was around 1950. When his Irish-Catholic mother opened the door, the "ministers of the Word" said that they’d like to come in and discuss the Bible. “We’re Catholics,” she said. “We don’t read the Bible.” As Dan said, “The conversation was over.” Fortunately, things have changed since then. Christianity is sometimes described along Judaism and Islam as a ‘religion of the book.’ However, that description is not entirely accurate, since Christianity is really the religion of the person, Jesus Christ, the Word of God, to whom the words in the church's book (the Bible) bear witness. Or better still, Christianity is the religion of God understood and experienced as Father, Son, and Holy Spirit. The Bible, or Holy Scripture, the book that was both created the church and was created by the church, is a privileged witness to God's dealing with the people of God in both the Old and the New Testaments. I should probably just end now because that's as clear as anyone can say it. But since I'm a Jesuit, I won't end her. I’ll continue for just a little while. The Catholic approach to the Bible may be characterized as a both/and, rather than an either/or. This became more obvious after the Second Vatican Council, the great gathering of bishops in the early 1960s that was meant to “update” the church, as St. John XXIII put it--to let in a little “fresh air.” As most of you know, the Council published a great and moving document called "Dei Verbum," "The Word of God." It is a magisterial overview of how the church looks at the Bible. Over thirty years later, in 1993, the Pontifical Biblical Commission produced a similarly helpful document entitled "The Interpretation of the Bible in the Church." Let me point out just three highlights of these two important documents. First of all, "Dei Verbum" looks at the Bible as an instance of God's personal self-revelation to us. That’s important: God communicates himself, or Godself, not only through what we call “salvation history” as recorded in the Bible (that is, the way that God relates to humanity) but in the Bible itself. Second, both documents looks carefully at the relationship between Scripture and tradition, which is long been a source of unfortunate controversy between Catholics and Protestants. In the Catholic Church we consider tradition to be guided by the Holy Spirit, and so Vatican II emphasized the close relationship between Scripture and tradition, describing them beautifully as both "flowing from the same divine wellspring." What may surprise a lot of people is the third highlight: the church recommends the use of the methods and approaches of professional biblical studies. The Pontificial Biblical Commission's document commends what is usually called the "historical-critical method" as "the indispensable method for scientific study of the meaning of ancient texts," and also encourages our attempts to understand the different literary methods that are used in the texts. And it critiques a fundamentalist interpretation, which it calls "dangerous" on the grounds that it "invites people to a kind of intellectual suicide" because it "injects into life a false certitude." So Catholics are neither fundamentalists or literalists. Back to the both/and rather than the either/or. The Catholic approach to Scripture insists on both the divine origin of the Bible and the necessary contribution of the people composed the books of the Bible at a certain time, in a certain place and for certain community. It urges us, in a word, to understand the Bible better as, to use one of the phrases are run through the 1993 document, "the word of God in human language." To my mind, it's a sensible and spiritual approach to the Bible. In my own life, the Bible is one of the primary ways that I encounter God. I focus mainly on Jesus, the person to whom I've dedicated my life. Through reflection on and study of the Bible I try to better understand who Jesus was, or rather, since I believe him to be risen, is. Also, I try to understand the history of his people, the Jews. But mainly I look to the Bible to meditate on what Jesus said and did during his ministry. How he lived. How he cared for people. And what we are meant to do as his disciples. As a Jesuit, I related to the Bible in another special way, through a practice called Ignatian contemplation, wherein one imagines oneself as vividly as possible in a Bible scene, for example, the Feeding of the Five Thousand, or the Raising of Lazarus, or the Resurrection. None of this is meant in any way to diminish the importance of the Old Testament, the Hebrew Scriptures or the Torah, depending on your preferred nomenclature. God’s Covenant with the Jewish people is still, obviously, in effect. As the Second Vatican Council reminded us over and over again. But for me, as a Christian, I view the Bible primarily as a way of getting to know Jesus and his people the Jews, in both the Old and New Testaments. Other Catholics, and even other Jesuits may have different approaches to the Bible. But this is my own. As I said, I can't speak for all Catholics, and perhaps not even for Catholic tradition since this is such a short talk, and I’m certainly no scholar. But I can speak for this Catholic. I'm happy to have been exposed to the Bible, to have been able to read it and study it, and now to celebrate it with you. So with apologies to Mrs. Harrington, I am Catholic and, because of that, I do read the Bible. This essay was delivered at an event in New York City for the Museum of the Bible, scheduled to open in Washington, D.C., in 2017. Dear Fr. Martin, Thank you for sharing your talk with us. It’s interesting that the Catholic Church has some of the Christians who are least associated with the Bible, and some of the Christians who know the Bible most deeply. You mention the Ignatian method of approaching Scripture, which has helped many people. Many people have also been helped by Lectio Divina, the ancient monastic practice of reading. Basically, in Lectio, we select a short passage—a parable, story, or saying of Jesus, for example—and simply be with it for a while, savoring each word. There are many books and videos that introduce Lectio Divina more fully. And thank you for speaking of Vatican II, which put the Bible squarely back in the hands of us lay people. This is a huge and important change, as you note. However, Vatican II was also about a related and larger event: Pope St. John XXIII said something shocking: He said that the era of Vatican II—right now—would be a new Pentecost. Wow. A new Pentecost is 1) a new birth of the Church, and 2) a new immediacy of relationship with the Holy Spirit. Both of these are huge land shifts in Salvation History. And the Bible is brand new. In the light of Vatican II, it is an unexplored continent that suddenly appears for us. The Bible has clues about how we can become deeper friends and coworkers with the Holy Spirit today. “The Acts of the Apostles” is about the Church learning to work with the Holy Spirit after the first Pentecost. In this second Pentecost of today, right now, we may learn from our forbears in the Faith. Luke gives us actual hidden lessons in working with the Holy Spirit. We can learn these methods today—indeed, we need to: https://scripturefinds.wordpress.com/2015/10/14/st-luke-teaches-direct-relationship-with-the-holy-spirit/ This is an exciting time, this new Pentecost, this second Pentecost. The Bible teaches us skills to help us navigate in this new ocean. I think Father Harrington said it best: “How do Catholics read the Bible? I am not under the illusion that most Catholics read the Bible in the ways described in this book. In fact, whenever I told friends that I was writing a book on this topic, it invariably evoked a wry comment or an anecdote to the effect that Catholics still do not read the Bible very much.” --from, “How to Read the Bible” by Daniel J. Harrington, S.J. There is a reason why Catholics, “still do not read the Bible very much,” and it is, quite obviously because the “critical approach” their professors teach them serves no purpose other than to convince Catholics that the sacred text is not even worth reading. This is why Catholic biblical education has become chronically ineffective and why Catholics tend not to read the Bible. Incidentally, Fr. Martin misquoted Dei Verbum 5 times in a single paragraph when he got it mixed up with a different document from the Pontifical Biblical Commission. Dei Verbum actually doesn’t say any of those things. If you actually sit down and read Dei Verbum Chapter 3 of the document consistently advocates an approach that follows the meaning (repeatedly called “truth”) that the authors of the Bible intended when they wrote it. The interpreter should not reject the authors’ intention, but follow it. This is also known as, “original intent,” which is the opposite of a “critical” approach. If you read Chapter 6 of Dei Verbum (“Sacred Scripture in the Life of the Church”) you will find that it creates the impression that the Church is supposed to be a people of the book. Mr. Stansfield, history and growth can be a bit tricky, don't you think? As a former monk who loves Lectio Divina and who prefers time with the Bible alone (and not so much with books about the Bible), I have to admit that the Historical Critical method has yielded much fruit, and has shed light on many enigmas within the Bible. Of course, it is not the last word on the Bible, not nearly. Yet it has, for example, put a check on endless scatterbrained interpretations running awry, with the interpreters claiming that they are pursuing the "original intent" of the Scripture. Let's take "Christian" zionism: Careful study of the Bible, tutored by the Historical Critical approach, reveals that the claims of zionists to the land of Palestine is a grand joke. The zionists, who mostly come from Europe, are terrorists, ethnic cleansers, and land thieves. Many former "Christian" zionists have learned this and changed their ways, thank goodness. What is the “different document from the Pontifical Commission” that you speak of? And I’m going to reread Dei Verbum now, thanks. Mr. Stansfield, what is the “original intent” of Lady Wisdom? She appears very much in Proverbs, Ecclesiasticus (Sirach), Wisdom, and Baruch. In Luke she is said, shockingly, to be a mother to both John the Baptist and to Jesus Christ. Lady Wisdom, while unfailing in her pursuit of truth, is also good at human relations, and good at “making things work for the best.” She is described in Wisdom 7 as a “friend to humanity.” Despite her infinite knowledge, she shows great respect to people and to the art of communication with people. She is compassionate. Therefore, she teaches us the way to “Godliness,” an interesting word in the New Testament. Something we could all learn from, right, Ed? I just reread Dei Verbum, and Fr. Martin is correct. And you are wrong, Mr. Stansfield. Dei Verbum discusses both “original intent” (your phrase) and also clearly alludes to contemporary methods of study, such as the Historical Critical method and all connected realms. For example, this is from Paragraph 12 of Verbum Dei: To search out the intention of the sacred writers, attention should be given, among other things, to "literary forms." For truth is set forth and expressed differently in texts which are variously historical, prophetic, poetic, or of other forms of discourse. The interpreter must investigate what meaning the sacred writer intended to express and actually expressed in particular circumstances by using contemporary literary forms in accordance with the situation of his own time and culture. (7) For the correct understanding of what the sacred author wanted to assert, due attention must be paid to the customary and characteristic styles of feeling, speaking and narrating which prevailed at the time of the sacred writer, and to the patterns men normally employed at that period in their everyday dealings with one another. (8) Do you see where it mentions “literary forms?” This is the document’s reference to “Form Criticism,” a relatively new field in Biblical studies that is connected with the Historical Critical method. Also, please note where it states: “For the correct understanding of what the sacred author wanted to assert, due attention must be paid to the customary and characteristic styles of feeling, speaking and narrating which prevailed at the time of the sacred writer, and to the patterns men (sic) normally employed at that period in their everyday dealings with one another.” This statement represents the meat and potatoes of the Historical Critical method. “Eyeglasses” are not mentioned in the Bible, Mr. Stansfield. However, you would do well to avail yourself of a pair. And to not cast false insults at charitable writers and religious. What I said was true. I looked it up before writing it. In a single paragraph Father Martin used 5 quoted statements that were purported to be quotes from Dei Verbum, but they actually came from a PBC document called, “The Interpretation of the Bible in the Church.” Dei Verbum really does not say any of those things. It certainly does not use the same phrasing or terminology. For example, Dei Verbum never uses the term, “criticism” (I checked using full-text search at www.vatican.va). Dei Verbum advocated getting to the original intent of the Bible by understanding it in its original literary context and historical context. However calling this interpretation, “criticism,” is misleading and a poor choice of words. It is really more of an analytical method than a critical one. Your quote from Paragraph 12 only proves my point. The plain fact is that modern “critical” (skeptical) interpreters of the Bible often have a different intention in interpreting it than its authors had in writing it. The reason you make wild accusations against the modern Zionist movement is because you plainly have a different intention than King David had. I am not sure what you are getting at by your mention of wisdom (personified), but 2000 years of interpretation had consistently maintained that “she” is an allegorical character. This has always been understood and was not newly revealed by some new “critical” approach. Mr. Stansfield, I did not make them here, but elsewhere I make devastatingly clear arguments against political zionism. To be a zionist is to be a fundamentalist when it comes to reading the Bible. To be a “Christian” zionist is to be a follower of John Hagee. Which is highly comical. The entire developmental thrust of the Hebrew Scriptures is towards a growth of love and universal solidarity among all people. Witness the latter parts of Isaiah. However, zionism reverses this positive movement forward. zionism is a regression. Theodor Herzl, who founded zionism in the late 1800’s, knew no Hebrew and even less about the Bible. The Church has condemned zionism. Are you aware of this, Mr. Stansfield? Also, every scholar worth their salt agrees that David is not the author of the Psalms. In fact, we don’t know if David even existed. However, he is very important to the story of human development of the Old Testament, and his character in the Psalms is significant. He is the attributed author of about 72 Psalms, but modern scholarship in the Historical Critical tradition proves definitively that he actually did not write any of them. Nevertheless, David is also important in showing the evolution of humanity from cavemen to more fully human beings, to, in our future, angelic human beings. David himself is part caveman, and part awakened human being. Ed, read the character of “Joab” as being David’s shadow self. Despite that, David has positive aspirations, and helped humanity forward. This is symbolized, in part, by his preparing the way for his son, the wise Solomon. Regarding Lady Wisdom, of course she is allegorical! She is also a type (a precursor) of both the Holy Spirit, and of the Incarnate Word, Jesus. Very interesting. Happily, Lady Wisdom is receiving more attention today. You still fail to understand Dei Verbum. Even if the document does not mention the word “criticism,” it is plain as day that they are talking directly about modern means of scholarship, including the Historical Critical method and its branch, the Form Critical method. Fr. Martin is entirely correct in pointing this out. The central point of my post to the blog is to point out that the use of “critical” (skeptical) approaches to the Bible has failed (past-tense historical fact) to achieve positive educational results. Critical studies of the Bible tend to make highly skeptical assumptions about it. Neither Dei Verbum nor any other church teaching justifies those assumptions. For example, you assume that David never existed. You assume that David never wrote the 72 Davidic Psalms. You can’t prove any of that historically, and you ignore archaeological inscription evidence referring to the King of Judah as being of the “House of David.” At around 1000 BC David lived well into the Iron Age. He was not a cave man. People who lived in Canaan in those days had been reading and writing for nearly 2000 years before that. They were not cave men. Furthermore, you ignore the messianic prophecy that the Messiah would be a descendant of King David. All four gospels acclaim Jesus as the “son of David.” According to Dei Verbum the gospels teach these things truthfully and correctly. You see, if you go around teaching people that David never existed, you lead them to doubt that Jesus is really the Messiah. When people are taught these kinds of things they tend to conclude that the Bible is not worth reading. This is the reason why Catholics still do not read the bible very much. No, this will not do, Mr. Stansfield. You are entirely wrong. Let’s take up the errors in your argument, paragraph by paragraph: First, the Historical Critical method has not failed. It has, actually, achieved many “positive educational results.” Although I love Lectio Divina, whenever I pick up any book of historical-critical scholarship, I always learn new things. And Dei Verbum, taking Paragraph 12 as an example, supports this new, more scientific, element in Biblical Studies. Of course, it needs to be acknowledged as an aid, not as the end, of study, prayer, and preaching with the Bible. Nothing can replace individual meditation with the Scriptures, as Psalm 1 urges us, as does Jesus’ proto-parable of the Sower. Regarding your second paragraph: Someone once said that “the Bible is entirely true, and some of it actually happened.” The ancient writers of the Hebrew Scriptures (Old Testament) were not newspaper reporters, in the modern sense. If they used metaphor and amazing literary stories to embellish their work and to encapsulate truths of the soul, they did so, without even considering if these stories were “factual.” Now, historically speaking, we know that the Babylonian Captivity actually happened in the early 6th century, B.C. This is a real historical event, and there is a great deal of archeological evidence that shows it happened. But before that, things are very murky, when it comes to establishing the “actual factual history” of events that are narrated in the Bible. And David was more than 400 years earlier than the Babylonian Captivity. The later Bible, just like the later seals you speak of, might mention the ancient character of David, but these are far different than conclusive historical proofs of David’s existence. The excellent anti-zionist writer Max Blumenthal, who is Jewish, notes that in Boo Boo netanyahu’s office in Tel Aviv, there is a glass display case that has some ancient relic that has some of the Hebrew characters that also appear in the name “netanyahu.” Reporters like fawning George Will take this as proof that netanyahu’s family name goes back to ancient times. But Max Blumenthal correctly points out that netanyahu’s daddy invented the last name “netanyahu” when they left Poland some decades ago. The intrepid Max Blumenthal could be compared to a historical critical scholar who is erasing mistakes and assumptions, such as those made by gullible George Will and serio-comical John Hagee. Such truth-telling increases our love of the Bible. What I said was true, and it is all proven. The reason why Catholic Biblical education has failed is because most Catholics don’t read the Bible. Numerous surveys and tests have demonstrated that Catholics are less knowledgeable about their faith than people of any other religious persuasion in the country. In an educational sense the widespread ignorance proves the failure. 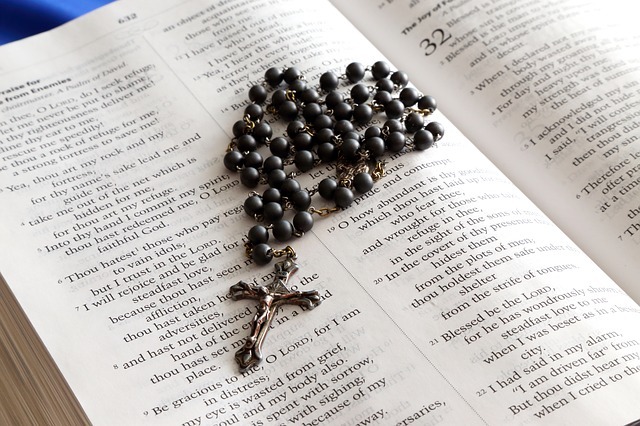 People who are taught critical approaches to the Bible in Catholic religious education tend to loose interest in the Bible and the Catholic faith. This is a historical fact. It has been well documented by many observers. No matter how much you like biblical criticism, it is still a failure by any measurable standard. You brought up the Babylonian captivity, apparently not realizing that there was once a tine when the leading advocates of “historical criticism” claimed that King Nebuchadezzar of Babylon never existed. Of course the archaeologists proved them wrong. Biblical scholars are not historians and they should not pretend to be. You claimed that King David never existed, then claimed that he was a “cave man.” Not only did you contradict yourself, you got the origin of civilization off by 2000 years. The distinction between the Stone Age, the Bronze Age, and the Iron Age is essential to understand ancient history and yet you did not know it. The early Israelite monarchy is corroborated by the books of Ruth, 1&2 Samuel, 1&2 Kings, 1&2 Chronicles, Isaiah and Jeremiah. It is not “murky” as you put it. Your ungentlemanly insults against Netanyahu, Will, Hagee, and Herzl are not worth discussing. You would be better off without resorting to personal attacks. Anyone who reads literature as a mature reader sees that David is a murderer and a rascal. These parts of his character are undeniable. Uriah, anyone? In these flaws of his, he is like a caveman. I am being allegorical, a word that you use above. I am not saying that he lived in 10,000 B.C.—I am saying he has brutish qualities. Joab represents his alter ego, his shadow side. And I never deny that he existed. I accurately state that there is no proof of his existence, and that he may not have existed, and that his person may be a fabrication of the Biblical authors over centuries—inspired by the Holy Spirit. The scholars of the Historical Critical method love the work of archaeologists. The Historical Critical experts had a field day, for example, when the wonderful plaque at Malta was discovered just a few years ago that verifies St. Paul was there, as per the New Testament. Also, where do you get your statistics that support your bizarre claims about Catholics reading the Bible less? Catholics are reading more, practicing the Ignatian method, and Lectio Divina, and even learning modern ways of scholarship with the Historical Critical field. Catholics are reading the Bible more than ever—finally! Regarding what you say about the OT: the Samuel and Kings books were written by one “school,” or group of authors, and Chronicles by a different “school,” probably later. Ruth may be the newest of these books, and may have been written to blend in with the older styles of writing. Closer to the Babylonian Captivity, the historical accounts grow less fuzzy, slowly becoming more “factual”—just a bit. We still don’t know if David actually existed. Finally, I have been kind in these statements. For netanyahu is a genocidal murderer. Did you catch the slaughter in Gaza last summer? Hagee is an accomplice in these murders. George Will is awed by Boo Boo. And old Herzl was an atheist. Mr. Stansfield, why do you defend netanyahu? Are you a zionist? Most Biblical Fundamentalists in America ARE Zionists. I sympathize with most of what you say above, but I definitely do not wish to support your encouragement of Catholics to read large parts of the "Bible." They should stay away--far away--from the barbaric deity depicted in the Old Testament, and concentrate exclusively on the vision of God formulated by Jesus Christ--who, no mater what He said, is of a wholly different character than "Yahweh," the horrible "Nobodaddy" of William Blake. Mr. Lewis, I mostly agree with your comment about fundamentalism and zionism. Regarding what you say about the Old Testament, have you heard of Marcion? He and others thought similar things about the Hebrew Scriptures. However, the Church finds the Old Testament to be inspired. Let’s take a story that occurs in Genesis, three times. That is a huge amount of emphasis, by Biblical standards. Three times, Abraham, and his son Isaac, lie about there relationship with their wives. As a result of their lies, powerful kings send for and take their wives away from them. YHWH corrects the situation, and the patriarchs of Israel become wealthy as a result. At a surface level, these stories seem bizarre. And scholars have suggested that maybe they were erroneously copied and duplicated. But this is the inspired Bible, so let’s look deeper. And because it’s repeated 3 times, there is something important for us to discover hidden within it. Abraham and Isaac were both in positions where they were fearful in social settings. And they needed work. At a metaphorical level, this represents all of us, who must operate in society for a livelihood, and, at the same time, try to be loving spouses. In the time of the patriarchs, the world of work in society was totally male-domineered. Men have to submit themselves into this regime. When they get home at night, they are tired. They don’t put the time into their relationship with their wives that they should. They perhaps take their anger out on their wives. The relationship suffers and dwindles. Today people get divorces. But the men made their money. They get wealthy as a result of all three stories. Abraham does this first in Egypt, under Pharaoh, the “king” of Egypt, says the Biblical text. Then he does a repeat in Philistia, under the “king” there. Then his son Isaac does the same thing with the same “king” in Philistia. The Bible is telling us that this male-driven world of work deteriorates the love relationships and family across the globe, down the generations. This is something for us to learn from, and to change. Yep, I get your point, Mr. Murray, and I agree that there is a GRADUAL approach in the Old Testament to the vision of Yahweh revealed by Jesus Christ, but, I'm sorry--and I think this is true for most modern Christians--there's just too much that is otherwise repellent in those Scriptures. Also, Marcion was a Jew-hater, and a believer in the "Blood Libel" against the Jews; I do not share that opinion, and believe that the ROMANS, not the Jews, are the murderers of Christ. Marcion was a heretic, and I'm not encouraging you to follow him, merely that you might enjoy reading what little we have of his writing. I have not heard that he was anti-Jewish. Do you have references for this? We should not bear animosity towards anyone who had a role in Jesus' death. Jesus didn't. And if we ever hurt people today, we are hurting the Body of Christ. Which is why zionism is evil. Finally, the Old Testament has a lot to do with human evolution. I am very grateful to the human beings of millennia ago, who have helped humanity to get to the point where we are today. The Old Testament charts both where people had been, and where they might go. Of course, the New Testament shines with the light of hope and reveals a radiant future. But we maybe could not have gotten to the New Testament without the throes and struggles of earlier humanity, as depicted in the early evolutionary brushstrokes of the Old Testament. By the way, not to promote my own research, but a book I'm working on might help you grapple with the bizarre parts of the Old Testament, and the brilliance of the New Testament: https://www.academia.edu/18651552/The_Red_Line_of_Hope I would be grateful for your thoughts, Mr. Lewis. But "the Bible" is NOT actually a part of most people's "Catholic Faith," and, historically-speaking, it wasn't a part of Catholics' faith until the Protestant Reformation re-focused attention on the Old Testament of the Jews, and away from the sophisticated and more humane philosophical systems that the Church had built on the foundations of Greek philosophy, and the early Church Fathers' Christology, which finds little or no support in the theologies of the Semitic peoples. Mr. Stansfield wrote: There is a reason why Catholics, “still do not read the Bible very much,” and it is, quite obviously because the “critical approach” their professors teach them serves no purpose other than to convince Catholics that the sacred text is not even worth reading." Your reference to professors (just as the "no child left behind" law is renewed) reminds me so much that teaching is not about negativity, testing or conformity, but about inspiration [in all the senses of that word], "cor ad cor loquitur" (as Cardinal Newman put it--heart to heart), and responding to the infinite curiosity of the human person--and leads (as I believe all education does) to loving with one's whole heart, soul, MIND, and strength--each independent and each connected. I emphasize often that atheistic scientists sometimes are much, much closer to the real God than people working miracles in His Name (Matthew 7). "Catholics are neither fundamentalists or literalists." But isn't that why the church has the doctrine against divorce, why the church teaches transubstantiation, etc.? Please correct me if I am wrong. There seems to be some misunderstanding as to what is Ignation Contemplation. It is my understanding that this practice in other words, possibly more familiar are called "lectio divina," a way of reading the bible, where in listening with your heart, a small part comes to mind to meditate upon. If you google ignationspirituality.com you will get a complete understanding of what Fr Martin is speaking about. Honestly! Maybe it was simply Mrs. Harrington's brilliant way of getting back to the everyday business of living. It is has always been my personal conviction that large parts of the "Bible" are NOT "worth reading," and I think that the position of the medieval Church that certain portions of the population should be discouraged from reading most of the "Bible" is completely correct and civilized. Common sense and good, critical reading of such rubbish as "smite the Philistines hip and thigh," and the "sacrifice of Abraham," and "the curse of Ham" tell anybody with half of a brain that the principal of abrogation has been alive in the progress of what we can only call "Christian morality" AWAY from the "Nobodaddy God" called "Yahweh," and his bloodthirsty partisanship and the particularist religion of the Hebrews. Jesus Christ may have said that He was come "only to the lost sheep of the Children of Israel" and that He had not come to set aside one "tittle of the Law," but the practical effect of "the Life and Teachings of Jesus Christ" combined with the humanistic and civilizing Tradition of the "Catholic and Apostolic Church" have tended to create a society far less barbaric and cruel than what a good half of the "Bible" showcases. I want nothing to do with most of the "Bible," and I'm pretty sure that most of the Catholic hoi polloi don't, either. We want to hear about Jesus, and that's all. Hello! everyone out here,I am James William from Portland Oregon United state.It has been my desire to help people out with their problems no matter how little my contribution may be. As regards to the promise i made to BABA ARUOSA if he could help me get back my girlfriend,i'm using this means to fulfill my promise and also let everybody know there's solution to your problem no matter how difficult you think it is okay. I loved a girl for more than 2 years and she told me she was going to marry me.But she would change her mind and tell me she didn't love me anymore and was seeing a guy,which i found out.I begged her to accept me and also tried every means possible to make her know i can't live without her because i really love her but she would pay deaf ears to me. We were working in the same company and each time i see her,i wish all this weren't happening.This pain continued till a friend of mine led me to BABA ARUOSA whom he told me was very extremely powerful and has helped with a problem. Soon as i contacted him,i knew he was the exact answer to my solution because i felt his powers from his carefully selected words and calmness.I explain all that happened to me and he told me what to do.I did as i was instructed and never doubted him.To my greatest surprise what i felt was almost impossible within the twinkle of an eyes was over. She called me pleading for my forgiveness for how she has treated me and that she loves me so much and will never cheat on me again and will marry me.And from that moment till now all we've been experiencing is happiness in our relationship.We'll be getting married soon........lol I would advice anyone with problem to contact him via email : templeofsupernaturalcontact@gmail.com for his help.